Vikings "The Choice" (2x09) promotional picture. . HD Wallpaper and background images in the vikingos (serie de televisión) club tagged: photo vikings season 2 2x09 ragnar lothbrok lagertha bjorn floki travis fimmel katheryn winnick alexander ludwig gustaf skarsgård. 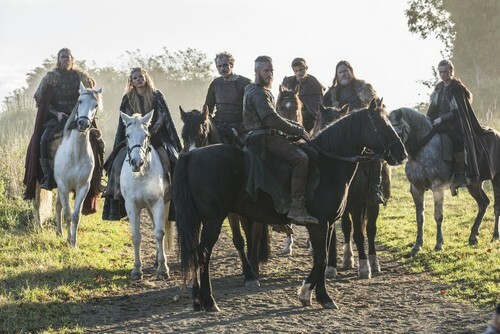 This vikingos (serie de televisión) photo might contain lippizan, lipizzan, and lippizaner.